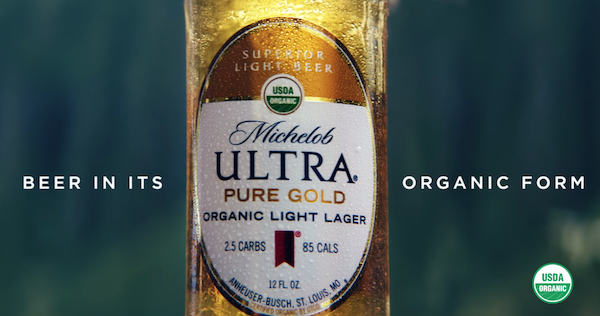 Michelob ULTRA unveiled a second Super Bowl commercial, putting the spotlight on its new USDA certified organic beer: Michelob ULTRA Pure Gold. The goosebumps-inducing commercial, titled “The Pure Experience,” is shot ASMR-style and stars actress Zoe Kravitz. Using unique audio cues and an idyllic natural visuals, the new spot is all about the power of an organic beer to help people reconnect with nature. And as someone who embodies organic living, Zoe Kravitz was the perfect partner to lead viewers through this full sensory experience. Michelob ULTRA Pure Gold is the first major organic beer brand to hit the market, and has seen an incredible response since it debuted in 2018. The new commercial marks the innovative beer’s first time in the big game. Check out the video here. Print article This entry was posted by Art Eddy III on February 5, 2019 at 4:59 am, and is filed under Entertainment. Follow any responses to this post through RSS 2.0. Both comments and pings are currently closed.